As the crowd booed the targets of his derision, Trump continued to attack Waters, mimicking her calls for his impeachment. “Meet the Press” host Chuck Todd asked Mnuchin whether he would fire a subordinate who made such comments. 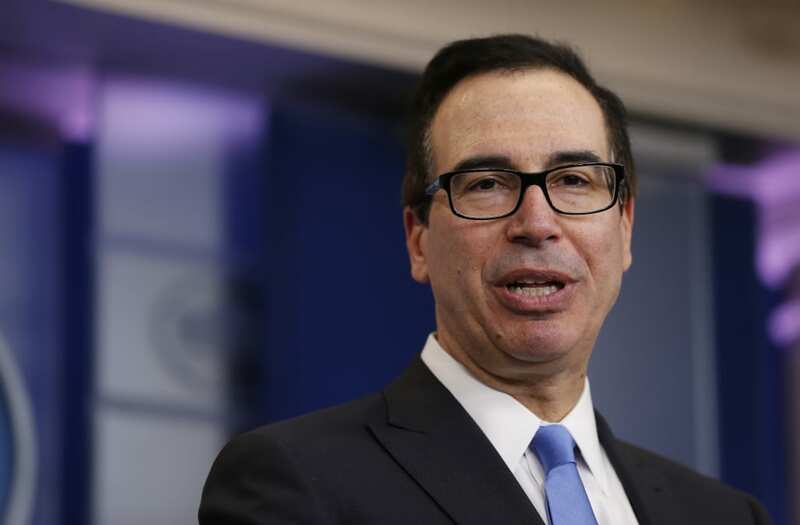 Todd pressed Mnuchin again ― would he allow a member of his staff who made such comments to stay on the job? “This is something that is [said] at a campaign rally and the president likes making funny names,” Mnuchin said. Todd also noted that Trump, as usual, attacked “bad people” in the “fake media” ― pointing out to the press area at the back of the rally and encouraging his supporters to boo them. Did Mnuchin support such attacks, Todd asked. “He’s using these vulgarities in the context of a campaign and obviously there were a lot of funny moments in that rally,” Mnuchin said. “Yeah, they were hilarious,” Todd replied sarcastically.